I was in a restaurant the other night when I went to the bathroom to wash my hands. The restaurant only had one restroom and it was full. 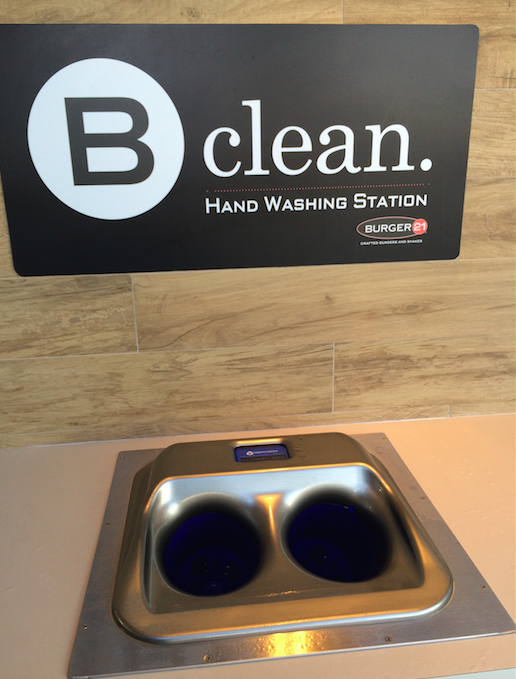 However, there was this strange looking counter that had two holes in it and a sign overhead saying Handwasher. I was very confused as I had never seen such a contraption. It said to put your hands in the little holes and it immediately turned-on water with soap. It was very cool and only took about 10 seconds. I started thinking… wouldn’t this be great for hospitals and doctors offices? And schools? People would be more likely to wash their hands with something so unique. It also takes less time and still accomplishes the same goal. I think it would be very easy for children to use because they don’t have to do any thing. The parents don’t have to worry about them actually washing their hands because there is nothing for them to do! It takes away anyone having to touch soap dispensers or water handles. It is very innovative and unique at the same time! I just turned 32 and a co7ple of months ago i got diagnosed with sjogren’s syndrome after a friend suggested I get tested for it. How do you explain to others how it affects you inside but not ot on the outside? Thanks Thanks Morgan. That helped out so much. The “spoon theory” is great. It will help me to explain to ppl what I’m going through thanks.